Stunning cover. 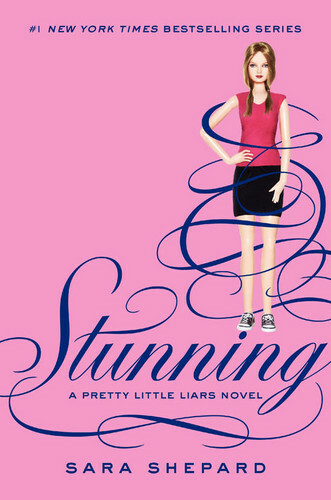 Cover of Sara Shepard's 11th book in the Pretty Little Liars series, Stunning. HD Wallpaper and background images in the Pretty Little Liar club tagged: pretty little liars hanna emily aria spencer novels stunning cover. This Pretty Little Liar photo might contain tanda, poster, teks, papan hitam, and chalkboard.